Welcome to the 3 Lands of Oz! 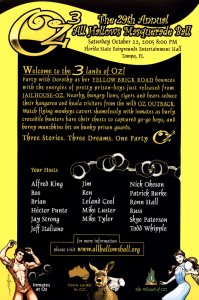 Party with Dorothy as her Yellow Brick Road bounces with the energies of pretty prison-boys just released from Jailhouse-Oz. Nearby, hungry lions and tigers and bears seduce their kangaroo and koala visitors from the wild Oz Outback. 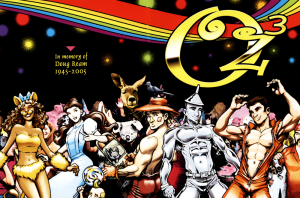 Watch flying monkeys cavort shamelessly with inmates as burly crocodile hunters bare their chests to captured go-go boys, and horny munchkins hit on hunky prison guards. Three Stories. Three Dreams. One Party.